Cemitas El Tigre - ORDER ONLINE HERE! The cemita, often called the Mexican Dagwood, originates from Puebla, Mexico, where street vendors layer mounds of fresh ingredients between a crusty sesame seeded bun. 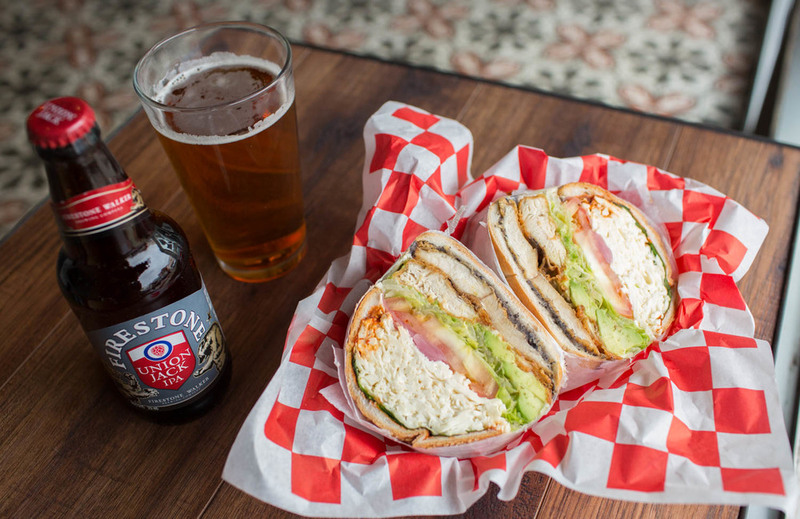 At Cemitas El Tigre, the sandwich is taken a few steps farther with your choice of meat along with all of the fixings: avocado, Oaxaca Cheese, pickled onions, papalo (a cilantro-like herb with notes of citrus and arugula), chipotle puree, mayonnaise, black bean puree, lettuce and tomatoes. With a grand total of 10 layers between the buns, the cemita is sure to challenge even the biggest big mouth. 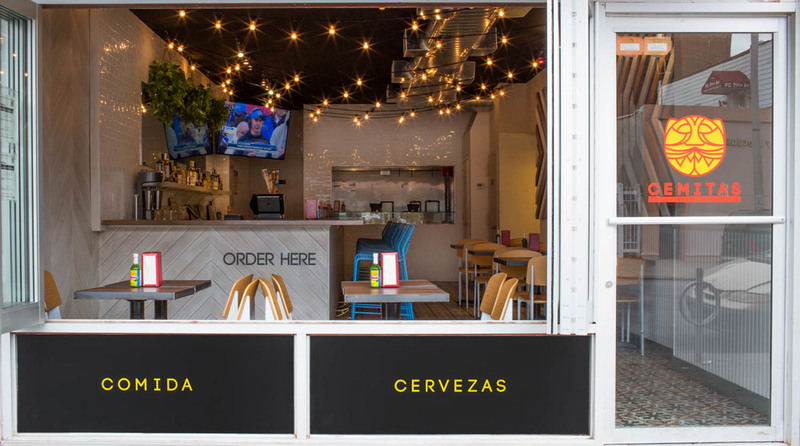 Cemitas El Tigre serves its signature 10-layer cemita sandwich along with tacos, burritos, craft beers, wine and milkshakes. Saturday and Sunday from 10:30 am - 3 pm. 2 Scrambled Eggs, Bacon or Chorizo, Onion Rings, Cheddar Jack Cheese, Pickled Jalapenos, Kethcup. Flour Tortilla, Scrambled Eggs, Bacon or Chorizo, Tater Tots, with Salsa Roja or Salsa Verde, Cheddar Jack Cheese, Pico De Gallo, Sour Cream. Flour Tortilla, Scrambled Eggs, Bacon or Chorizo, Jack Cheese, Tater Tots, Pinto Bean Puree, Sour Cream, Pico De Gallo.